The call for ending the use of single-use plastic is becoming increasingly stronger. 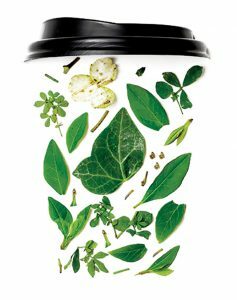 Each year, the world produces about 400 million tonnes of plastic, of which 40 per cent is used only once.Therefore we are introducing a range of food packaging made from plants. Some big names are fully backing the idea of reducing the waste. After filming some shocking scenes for his recent series, Blue Planet II, David Attenborough urged us all to take responsibility for the longevity of our planet. Following the hard-hitting series, the Queen has taken the steps to ban single-use plastic by all staff across her estates. The BBC is also following suit by announcing plans to eliminate plastic use within the company. What we can do …? 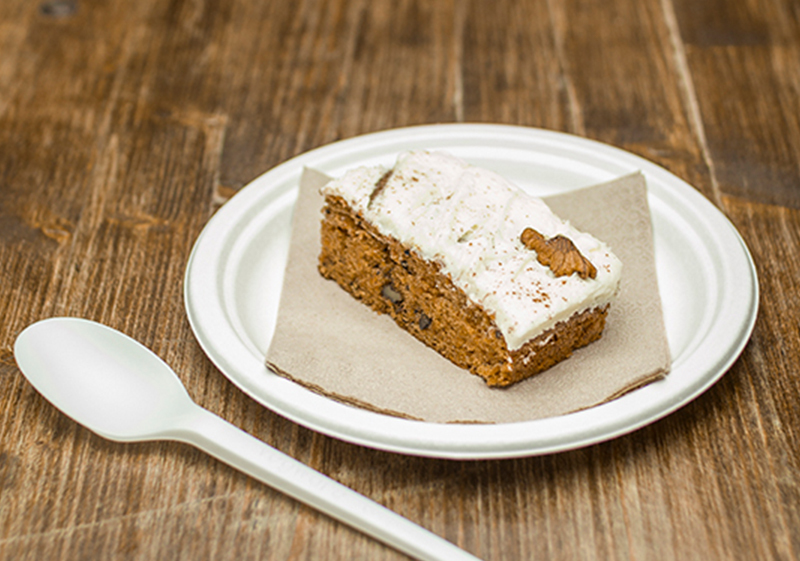 As public attention turns to using alternative materials, our new innovative, environmentally friendly food packaging range from Vegware Ltd helps us make strides in reducing plastic usage. Vegware is an Edinburgh-based company, established in 2006. Their award-winning catering disposables are low carbon, made from renewable or recycled materials, and can all be composted with food waste where facilities exist. 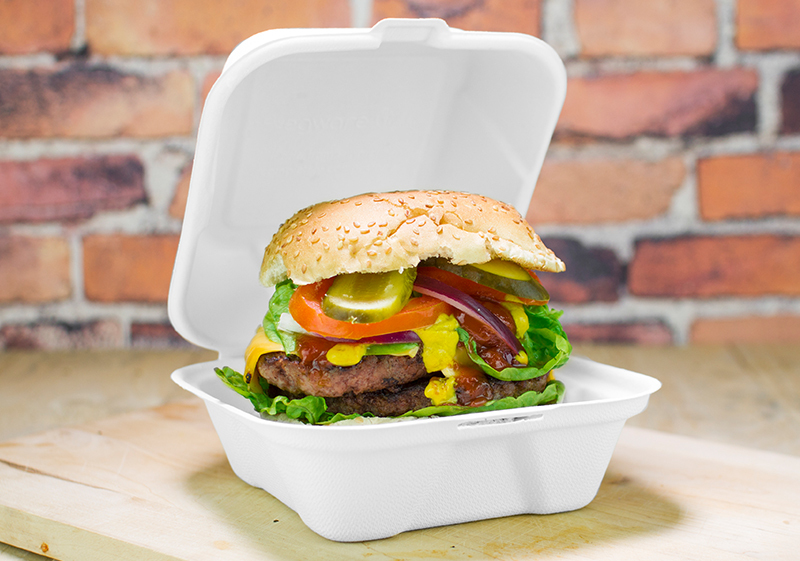 The bagasse range of plates and boxes are made from a sugar cane by-product and provide a sturdy, reliable product suitable for freezing and microwave use. 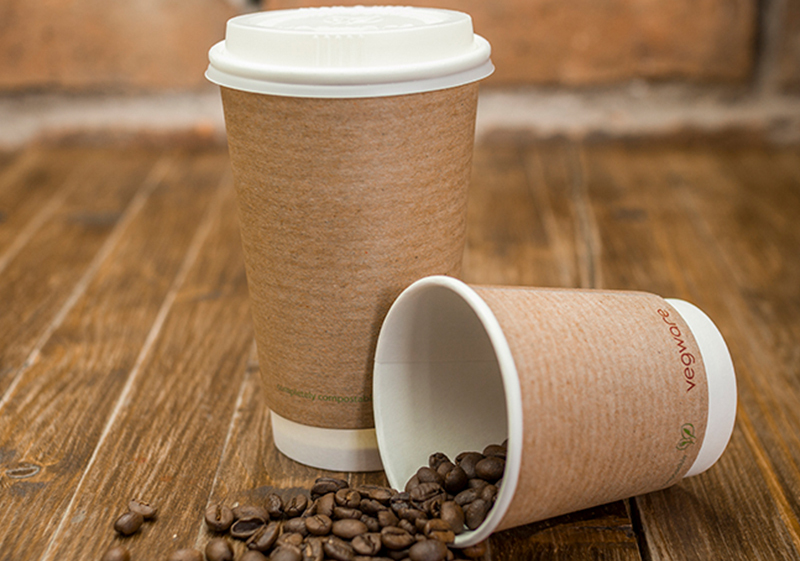 The straws, cold cups and cutlery are all made from PLA/CPLA, a sustainable, renewable plant-based material as is the lining for the hot cups. Our comprehensive range includes salad boxes, cups, straws, plates, cutlery and much more. As the initial range proved so popular with customers, we have recently extended our range. This leaflet provides you with all the information you need including our list prices. If you would like to see samples of our Vegware products, speak with your area sales manager for more information. Vegware’s website has a wealth of information about their green credentials and the benefits brought by this eco-friendly range.